Very little has changed since the G-20 announced the end of offshore havens in 2009. A new report by the NGO ActionAid puts in question the British government's political will to combat the problem. The hundred largest companies in the United Kingdom, grouped in the famous FTSE100 stock index own more than eight thousand subsidiaries in tax havens. Banks are the most prolific users of these circuits of global tax evasion, but also there operating multination corporations, manufacturers of telephones, energy and tourism companies, supermarkets chain and producers of drinks. According to the report by the NGO ActionAid, the FTSE100 companies have some 128 subsidiaries or "joint ventures" in Argentina and strong presence throughout the developing world. 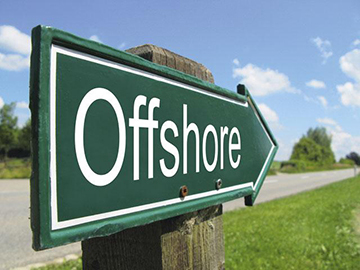 ActionAid's report puts into question the alleged British government's political will to combat the use of tax offshores. At the meeting of finance ministers from the G-8, George Osborne, said it was "essential that companies and individuals pay their fair share of taxes." The reality is that under the nose of his ministry, 98 of the 100 FTSE100 companies have subsidiaries in tax havens and 10 of them are headquartered over there, which is a clear signal that not much has changed since the announced by the G-20 "the end of tax havens" in 2009. Today the magnitude of the crisis is such that grandiloquent promises as have been made by the ex French President Nicolas Sarkozy, who promised nothing less than to "refound capitalism" are not enough. At the meeting of finance ministers of the European Union (EU) in April, 9 countries-Spain, UK, Italy, France, Germany, Poland, Holland, Belgium and Romania joined a pilot project of automatic exchange of bank information data of non-residents, which will oversee the multi-million dollar tax evasion. But according to Chris Jordan, one of the leaders of the ActionAid report, this instrument, long claimed by non-governmental organizations, is just the tip of the iceberg. "This automatic exchange model is based on a mechanism adopted by the U.S. and the problem is that we do not know well enough who do they cover exactly. The mechanics of tax havens is so complex that may use the holes in the fiscal structure through which seep the largest evaders, including corporations and banks, "said Jordan. In June, the UK will chair the G8 summit and the Prime Minister David Cameron has indicated that tax evasion and secret offshore accounts will be in the center of the agenda. Nicholas Shaxson, author of Treasury Islands (Islas del Tesoro), a comprehensive study of tax havens, says that the British contradictions with the subject are clear. "On the one hand, the government is torn between its fiscal problems and an economy that has just emerged from a double dip, but not stagnation. On the other hand, there is a financial center that benefits greatly from the existence of tax havens, "he said. The FTSE 100 companies have 1685 subsidiaries in a dependent territory of the British crown and known tax havens such as Jersey, the British Virgin Islands, the Cayman Islands, Bermuda and Gibraltar. In the Bahamas there are 115,000 companies for the 307 000 inhabitants of the islands. On the islands Jersey, the proportion is equally outrageous: 33 000 companies for 91 000 inhabitants. The president of the United States, Barack Obama, exemplified the problem on more than one occasion with the Ugland House, a building in another British dependency, the Cayman Islands, home to more than 18,000 companies. The mechanics of tax evasion and avoidance varies with the subject-individual, bank, multinational corporation, but the goal is the same. In the case of corporations, subsidiaries in tax havens serve to distort the structure of domestic prices of companies, it is a long-winded mechanism, according to the OECD, 60 percent of global international trade occurs between multinationals. "Suppose a multinational company operating in a country X with a corporate tax of 30 percent. The company will pay less income tax, if it has less profit. So inflated prices will be justified by hire of legal or financial services or promoting their own subsidiaries located in different tax havens, where they pay much less in taxes, says John Christensen, director of Tax Justice International. This mechanism has a strong impact on developing countries. The FTSE100 has 128 subsidiaries in Argentina, ranging from the field of mining oil to food and household items manufacturers, insurance companies. "This does not necessarily prove that there is tax evasion. But these companies have an international structure, which makes it very easy to move their profits through tax havens. The situation is equally true for both the UK and Brazil, "explains Jordan. International service companies like Google or Starbucks were forced to recognize that almost did not pay taxes in the UK. The comparative economics specialist at the University of Cambridge, the Chilean José Gabriel Palma, describes the mechanism used. "Starbucks does not pay income taxes because they say, 'no book profits'. And they do not have them because their premises, property and administration of Starbucks, pay an enterprise fees abroad to use the name of Starbucks. This is Starbucks -Starbucks paying for use of the Starbucks name. And neoliberal tax law of that country says it is perfectly legal. Accounting is magical realism. I believe Gabriel Garcia Marquez should have been consultant to the accounting firms, "said Palma. In the past financial opacity was complementary by the mass media: nobody talked about it. The economic crisis has put the spotlight on the country's tax structure. In the May 22 summit of European Union, tax evasion was one of the centre themes of the agenda. Something similar will happen with the G-8 in June and the G20 in September. As Tax Justice International, ActionAid notes that changing things is not complicated, but requires political will. "All that is needed is transparency. There must be a public record of tax offshores to know who are the real owners of listed companies. Multinationals should also publish their accounts in each country where they operate, because in this case tax evasion could be easily detected, "said Jordan.